Take a minute and read our customer reviews. 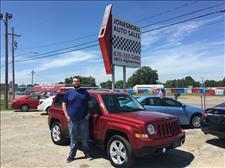 We strive everyday to sell quality vehicles and work hard to insure you are happy with your purchase. This is a great place to go! The guy is awesome and really knows what he's doing! I will definitely be telling all my friends and family about this place! I will be returning loving my jeep patriot from here! Service was excellent!!! 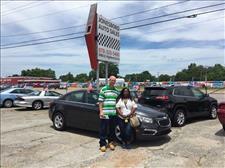 Stayed open late to get everything done so we could come home with our new car that night. I will be definitely telling my family friends to go there for any car they would need. If we ever need another vehicle we will be going there first. Best dealership I have ever been too! Thanks Zach and Carly!!! Good people, great buy. Helped us tremendously. We appreciate it. If your looking for a professional experience and people that care about their clients, go by and see them, you won't be disappointed. Zack and Carly did a wonderful job. They made buying my truck painless. Couldn't be happier! Zack and his wife really went the extra distance to make sure that I was satisfied with the deal we made. It was a pleasure doing business with them, and I will probably return here the next time. 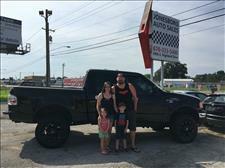 Zach and his wife were very nice and they really want to see you drive away with something that you will be happy with. 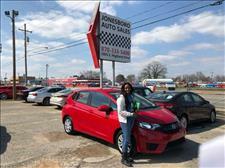 They help you find a car that will be affordable for you and still look nice too. 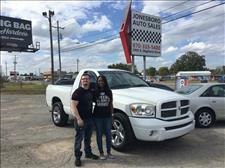 I am loving my new truck thanks to Zach, it was a pleasure doing buissness with him. 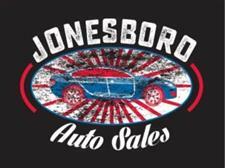 I would highly recommend anyone looking for a good deal on a great ride to Jonesboro Auto Sales. Best car lot in town! No other car lot compares hands down! Recommend every one! Love my car!!! 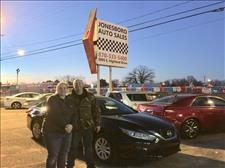 Love these great honest couple and best cars in Jonesboro! Hey these guys are professional, they work with you I bought two vehicles from are good vehicles they seem like a down-to-earth family-orientated. I am very pleased with the service they gave me. 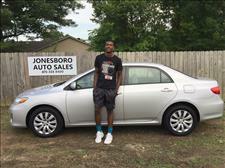 So again thank you Jonesboro Auto Sales. Zach keep up the good work! 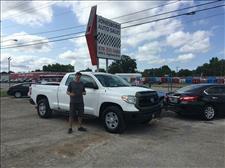 I have been looking to purchase a good solid truck for awhile, and it's been really hard to find what I'm looking for and a dealer that will work with me, and be honest every step of the way. I've tried Nettleton auto sales, starks auto plaza, car choice, and others, and these dealers don't care about you getting into a vehicle, they care about there profit margin. If they can't make lIke 4 grand on a sale they won't sell to you. Zach and Karley Carusso worked MAGIC! They were very professional, and did everything they could to get me into the truck i want! They were brutally honest every step of the way! When I first spoke to Zack on the phone, he told me if I came down there he would get me rolling in the truck I want, I was skeptical at first, because that's what everyone says, but man was i surprised! This was no ordinary dealership, I used to buy my vehicles from Nettleton auto sales but they have sincerely lost my business to the best dealership in Jonesboro period! Thank you Zach, and Karley for treating me and my family with respect and honesty! Wish I could give 10 stars!!!!!! Absolute best service I have ever gotten! 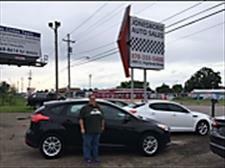 I was treated just like I was family and he showed me the good and the bad in the cars that I was interested in to get me in the one that would fit me the best! 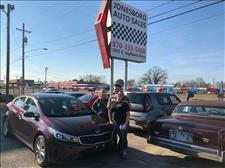 I got a 2017 Kia Forte that is absolutely STUNNING for the price that I got it at. I'm young and this was my first car (big girl purchase) and he and his wife really helped me out. 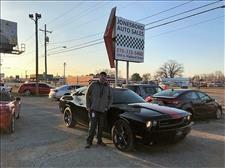 Will definitely be heading back for my next vehicle!! !